We’re pretty thrilled to welcome the Turtle Island Quartet to the KSUT studios Wednesday (5/9) at 12:15 PM. They perform at the Community Concert Hall at Fort Lewis College, Wednesday evening. The “Turtles” will be joined by Mike Marshall, one of the world’s most accomplished and versatile string instrumentalists. 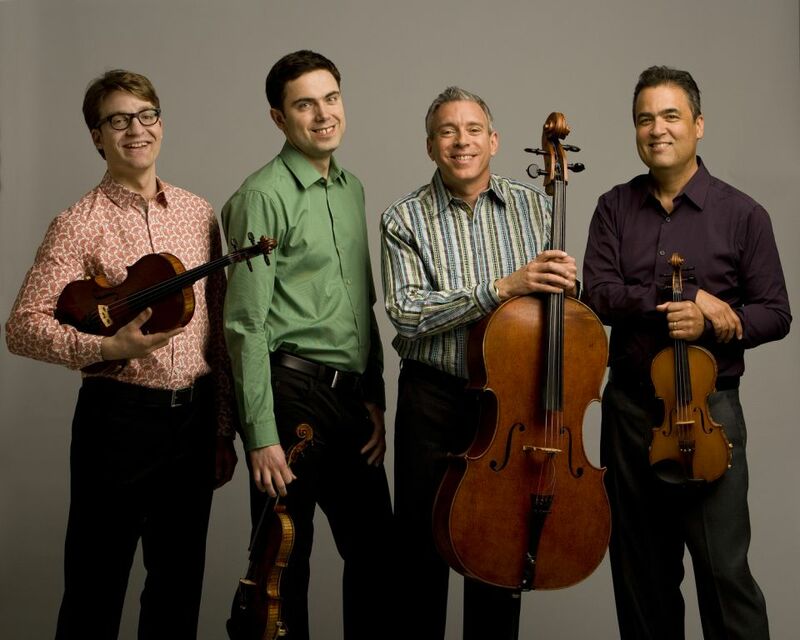 Its name derived from Native American Folklore, the Turtle Island Quartet has been cited as a singular force in the creation of bold, new trends in chamber music for strings, and called the quintessential American string quartet of the 21st century. 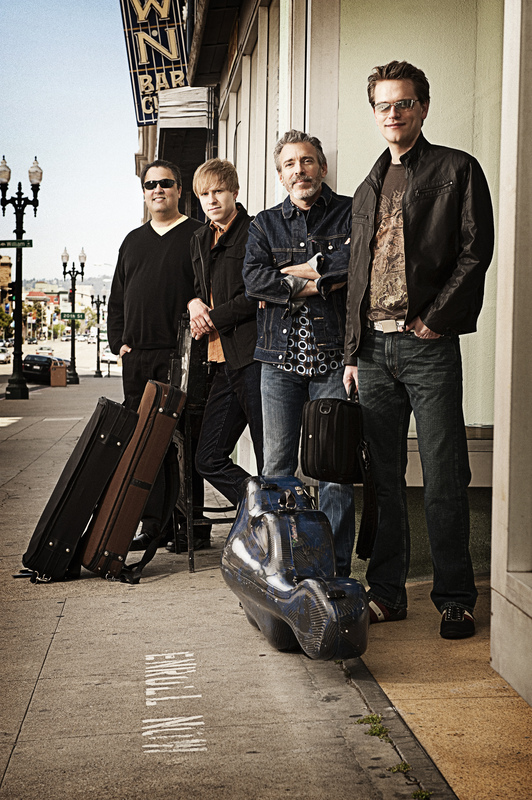 Winner of the 2006 and 2008 Grammy for Best Classical Crossover, Turtle Island fuses the classical quartet esthetic with contemporary American musical styles. The repertoire consists of hundreds of ingenious arrangements and originals. Mike Marshall has been a part of the new acoustic music scene since the early 1980s. He has performed and recorded with many musicians in a variety of styles, including bluegrass, classical, jazz and Brazilian music. 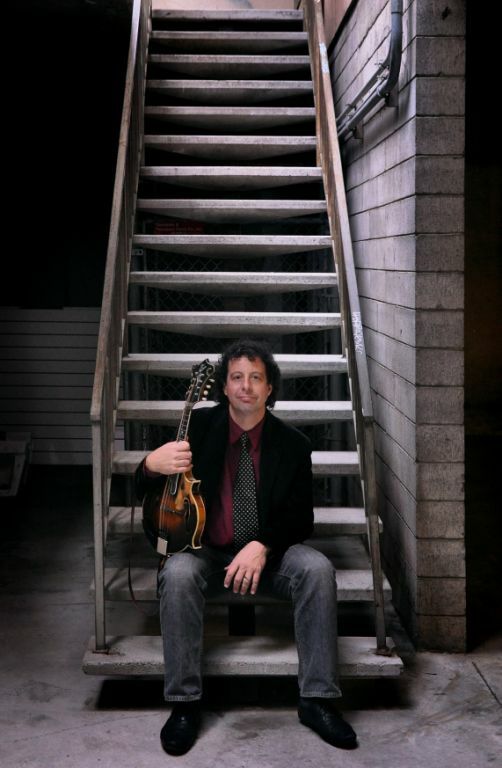 In addition to several instruments within the mandolin family, Marshall also plays the guitar and violin. Pacific Northwest indie-folk duo Jenn Rawling & Basho Parks are touring in support of the release of their debut full-length CD, Take The Air. We’re looking forward to having them on KSUT, Tuesday (5/8) at 1:30 for some live music and conversation. We love this old video clip of The Outta Hand String Band in front of Animas Trading from the 2005 Meltdown. Just a reminder of the fun to be had around town this weekend. Get a complete lineup and schedule of events at durangomeltdown.com. ‘The Grass is Bluer’ with Hugh Felt will air an hour earlier so that you can listen to some mighty fine bluegrass beginning at 7:00. ‘E-town’ continues on Thursday evenings but will… be airing AFTER ‘The Grass is Bluer’ at 9:00 instead of 7:00. ‘American Routes’ with Nick Spitzer continues on Wednesday evenings from 7-9, however we will no longer air the repeat broadc…ast of ‘American Routes’ on Saturday evening, so be sure to tune in every Wednesday evening. ‘Sounds From The Mother Road’ with Jamie Hoover also will continue to air tonight and every Wednesday night at 9:00. ‘Beale Street Caravan’ returns to the KSUT airwaves featuring live blues events each week. Listen tonight at 10. ‘Sounds of the Dreamcatcher’ follows Beale Street Caravan at 11 to finish off the evening. A new locally produced show from our Tribal Radio studios, featuring mellow sounds from Native America to wind down your Wednesday. Spring programming changes are underway this week. Tuesday’s evening line-up has changed and we’re excited to bring you a new locally produced blues show, as well as some new jazz programming: ‘Barrelhouse Blues’ makes its debut tonight at 7:00 with KSUT’s Rob Rawls. The program will feature music from the greatest blues musicians, both new and old. Blues music comes from all over the world, and Barrelhouse Blues covers it all – from the Mississippi Delta to Africa, and everything in between. If you love the blues, be sure to join us tonight at 7 for Barrelhouse Blues.NPR’s ‘Jazzset with Dee Dee Bridgewater’ continues to air at 9:00. ‘Jazzset’ captures jazz legends as well as today’s top bands, and promising new talent. ‘Jazz Odyssey’ is a new two hour program coming your way tonight from 10 – midnight, featuring a journey through the world of modern jazz and fusion with host Chris Kuborn. For a complete line-up of our Spring programming, you can view our program guide here. Spring has arrived in the Four Corners, and with the change of seasons comes some new programming on KSUT. It’s been a while since we’ve added fresh programs to our lineup, and we’re excited to do so. We’re replacing shows which have ceased new production and continue to repeat old episodes. We’ve also rearranged some time slots to create a better fit in the overall line-up. We’re introducing more locally produced shows to offer more variety. Other programming changes are a direct result of feedback from our members. Colorado State Capitol Coverage returns to KSUT – Weekdays @ 11:00 a.m. The Capitol Coverage Project is an effort of Rocky Mountain Community Radio, a group of non-commercial public and community radio stations mainly in Colorado, providing daily news reports from sessions of the Colorado State Legislature, and regional features. Weekend Edition – Saturday & Sunday 8:00–10:00 a.m.: Due to significant requests from our members, KSUT’s broadcast of NPR’s Weekend Edition Saturday & Sunday will come to you an hour earlier from 8-10 a.m. effective immediately. We realize that weekends in the Four Corners are filled with outdoor activity, so now you can get your NPR news fix before you head out for the day. As a result, Only A Game moves to 10 a.m. on Saturday, and Sound Opinions to Friday night, where it’s a better fit at 10 p.m.
Weeknight Programs: You’ll notice a variety of changes in our evening programming during the week. Our goal is to bring you more diverse and locally produced shows. Most notably, we’ve replaced the evening (repeat) broadcasts of the World Café with local shows and also some fresh, nationally produced programs. You can still catch World Café with David Dye Monday through Thursday at noon. We’re introducing Barrelhouse Blues with Rob Rawls Tuesday night from 7-9. The popular locally produced program The Grass is Bluer with Hugh Felt comes to you earlier on Thursday evening, now at 7; followed by E-Town at 9:00 and then the new Nashville-based program Music City Roots from 10-midnight. Weekend Programs: We’ve rearranged some weekend programs for a better overall fit in the line-up, and some shows have been replaced due to limited production or cancellation. We’ll continue to bring you our most popular programs, however some broadcast times have changed so be sure to see our complete schedule on our website. KSUT strives to bring you the best possible programming available, creating a balanced mix of local and national programs. We’ve worked hard on our new line-up and hope that listeners enjoy the changes. We also realize that people have established listening habits and may need to adapt to the changes. Check out our new line-up, give it a chance to settle in, and then let us know what you think. A complete program guide is available on our website under Programs.